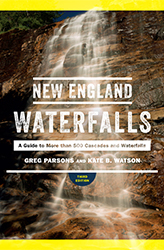 Pauchaug Brook Falls consists of an upper 5-foot tall, 15-foot wide cascade and a lower 10-foot segmented waterfall. 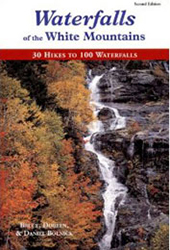 The upper falls are located only 50 feet upstream of the lower falls. 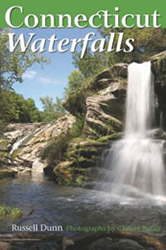 The general area isn't extraordinarily scenic, but the falls are close to the road and are both somewhat photogenic. The best time to visit is in early spring before the ferns, weeds and leaves on the brook bank obscure much of the views from the road. 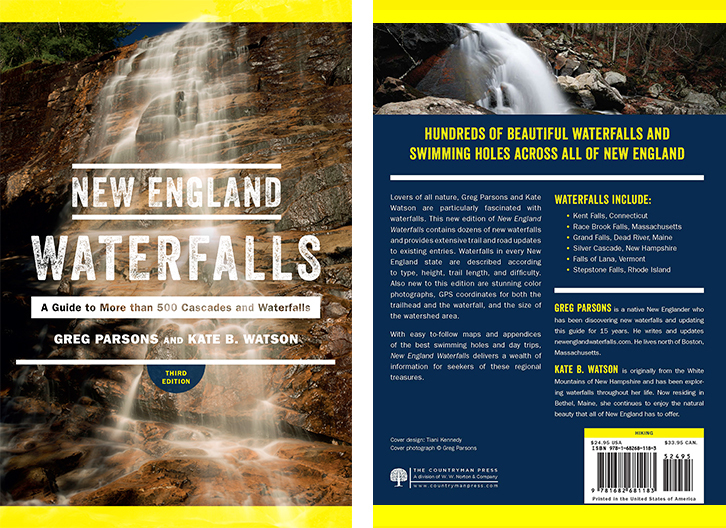 Pauchaug Brook splits into two main routes for the lower falls, the first being a plunge, and the second a cascade. Surprisingly, immediately after the waterfall the river then turns into a relatively lazy river. The optimal viewpoint of these falls is from the base of them, but a bushwhack from the top of the upper falls passing down through some questionable plants (poison ivy?) is involved to get there. There are lots of thorns and no trails whatsoever, so it's a bit of an adventure to get to the base of the falls. For most of the year, most visitors will simply limit themselves to the views offered from MA 10 or from the grassy area that lies between MA 63 and MA 10. 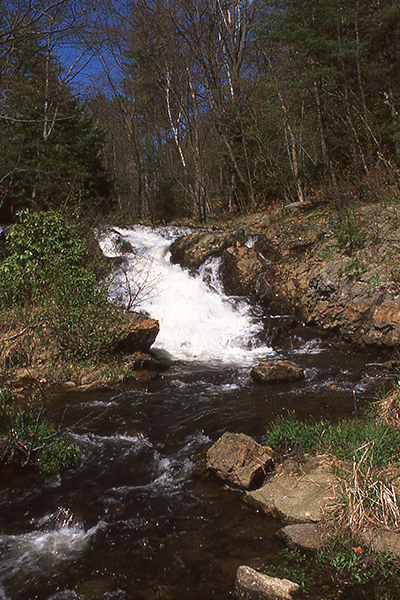 Unfortunately, the vegetation is too thick to hike upstream to the falls from either of these vantage points. 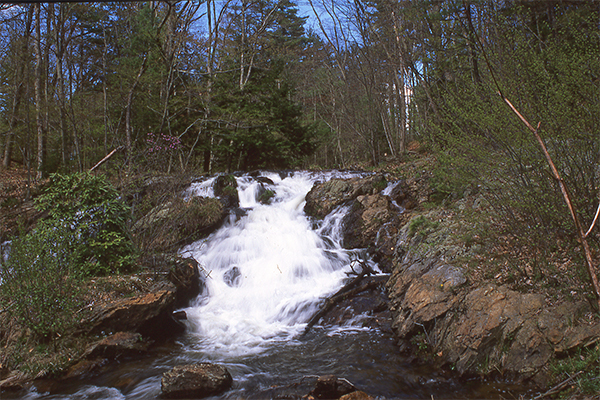 By mid-or-late May these views typically becomes mostly obscured by heavy vegetation growth along the brook. 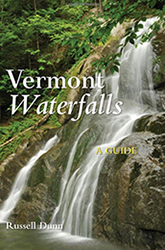 That being said, make a concerted effort to visit these falls in April or early May. From the junction of MA 63 and MA 2 in Erving, take MA 63 north. 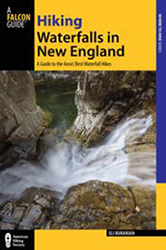 Travel on MA 63 north for about 10 miles to the northern junction of MA 63 and MA 10, less than a mile south the NH state line. Park in a pull-off on the right side of MA 10. There is also a small parking area near the top of the falls. This parking area is on the left side of MA 10 about 300 feet north of the main parking pull-off described above. To get to Erving, take MA 2 west from Fitchburg or MA 2 east from North Adams.